If you’re looking for our original Greg Freres pinball art labels or our discontinued products (Perky Pepper Vodka, Devious Vanilla Vodka, Powder White Rum, and Big Cat White Whisky), the retailers listed below may still have some. If we happen to know that they do as of 11/1/17, it’s listed below, but inventory can change rapidly and we highly recommend a call before venturing forth. We also still have stock of most of our original products for sale at the distillery…but that, too, will be gone when it’s gone! WE ARE TEMPORARILY CLOSED TO THE PUBLIC WHILE WE COMPLETE BUILD-OUT IN OUR NEW BUILDING. LOOK FOR OPENING INFO AND NEW HOURS IN OCTOBER 2018. 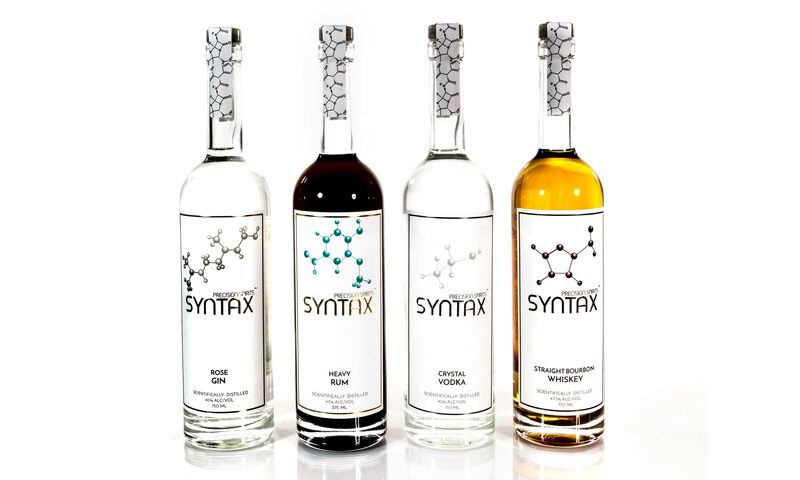 Syntax was one of only a handful of distilleries in Colorado when we opened in 2010. From the beginning, we decided to make authentic grain-to-glass craft spirits. Since then, we’ve made every Syntax product in our handmade stills, and have never used neutral grain spirits or blended Syntax products with those from other distillers. We hold ourselves to the standard of producing nothing but the highest quality craft spirits every day.